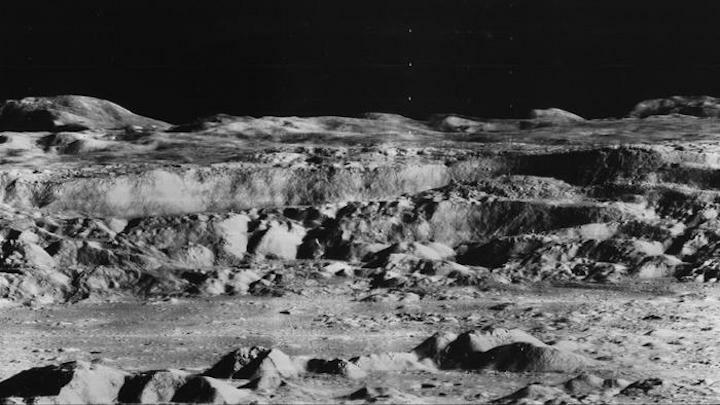 Fifty years ago Thursday, Lunar Orbiter II took a picture of a moon crater. When it was beamed back to Earth, the photo’s then-unique view made the moon real in a way it hadn’t been before — as an actual place, another world that might be a second home for humanity. Seeing the Copernicus crater close up mustered Space Age feelings of wonder. Such wonder is harder to provoke now, but the image reminds us: The moon still waits for us. Poetically, the Copernicus crater is named after the 16th century thinker who theorized that the sun — not Earth — was the center of the solar system. That truth sparked the scientific revolution, which both diminished our importance in the cosmos and revealed our powers to understand and explore it. Lunar Orbiter II took the photograph with a dual-camera system, using a “velocity-height sensor” to adjust the film for orbital motion. The craft then developed the image, scanned the negative and transmitted it five days later. This was the decade of NASA’s Apollo program. 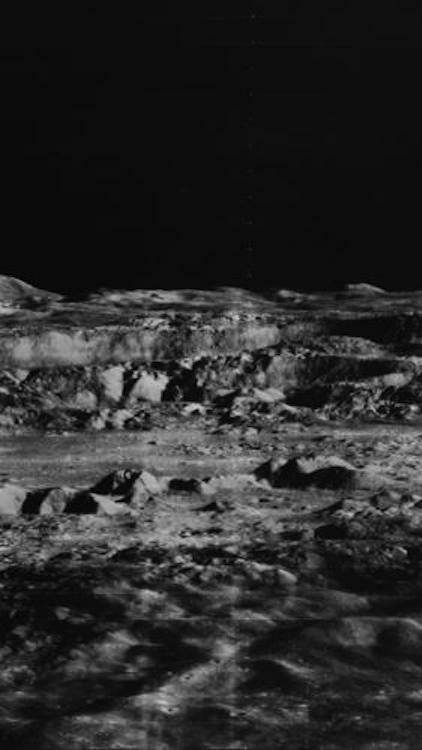 Lunar Orbiter II and other efforts were, as a 1960s agency publication put it, “blazing a trail for man to follow.” Humanity — or, at least, the United States and the Soviet Union — aimed for the moon and, next, Mars. It all seemed possible. Amid nuclear brinkmanship, wars hot and cold, assassination, and riot, space was hope. The Copernicus photograph was a grace note, taken between shots of possible Apollo landing sites in order to use up the film. Douglas Lloyd of Bellcomm Inc., a NASA contractor, suggested the shot. I suspect he knew the photo would be spectacular because the crater itself is spectacular. Visible through binoculars, [the Copernicus crater] is 60 miles wide ... and 12,000 feet deep. It’s the result of a nearly billion-year-old impact. Visible from Earth through binoculars, Copernicus is 60 miles wide, big enough to swallow Rhode Island, and 12,000 feet deep. It’s the result of a nearly billion-year-old impact. Gullies and ridges radiate another 60 miles from the crater’s edge, and rays of ejecta — bits and pieces of the moon excavated and sprayed out by the impact — spread even farther. In the middle, peaks “frozen” in place by rebounding melted rock rise to nearly 4,000 feet. From straight above, it looks like a giant spotted flower. But Lunar Orbiter II didn’t shoot straight down. It took its photo from about 125 to 150 miles south of the crater and 28 miles above — a glancing view. The angle revealed topography: moonscape as landscape. We’ve long since been swamped by photographs of astronomical grandeur: The Hubble Deep Field with its snowstorm of fossil galaxies. The Eagle Nebula, with its star-forming dust clouds – the Pillars of Creation. Martian bedrock, Titan’s lakes, icy plumes from tiny moons. Yet the 1966 Copernicus photo retains its majesty. And looking at it again suggests unfinished business. There’s been a lunar revival of late. Another NASA orbiter has transmitted breathtaking images. China, Japan and India have lunar programs. The private company Moon Express Inc. aims to land a rover on the moon next year. The head of the European Space Agency wants a lunar settlement. The moon is a closer, safer prospect than Mars, and cheaper (not that we shouldn’t attempt Mars too). One study claims that a base might cost $10 billion (the price of two weeks of war in Iraq). NASA — or a few billionaires — could afford that. To make a lunar home would test our technology, our physiology and society itself. Living in a hostile environment, pioneers would have to consider cooperation their highest mission.That seems idealistic, but it’s insurance against earthly catastrophe and stupidity. Going back to the moon, and staying, could be our biggest leap since we left the trees to walk the savannas. If we get there, we should seek the remains of Lunar Orbiter II and pay homage. It crashed on the far side almost a year after it helped us see the moon — and our possibilities — anew.